Browse: Home / 2016 / May / Sci-Fi This Week: The Legends Capture Vandal Savage! 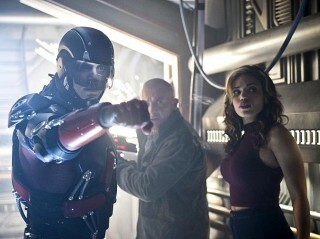 It’s a potential game-changer on this week’s new episode of DC’s Legends of Tomorrow: After hunting the murderous tyrant Vandal Savage (Casper Crump) across time, Rip Hunter and his team finally have the immortal villain in their brig. 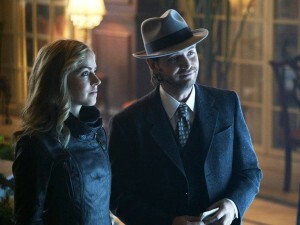 But Savage has an ace up his sleeve: an offer to reunite Kendra with her soulmate, Carter (guest star Falk Hentschel). 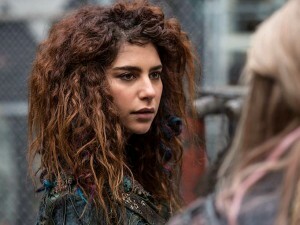 Also this week: Sarah forms an alliance with an enemy in order to get to the head of Neolution on Orphan Black, and Alicia must fight to get back to her family on Fear the Walking Dead. 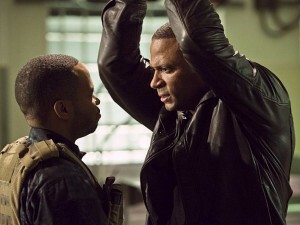 Diggle confronts his brother’s betrayal as Arrow flies toward its season finale, while the Agents of S.H.I.E.L.D. desperately look for a way to break Hive’s control over the Inhumans. 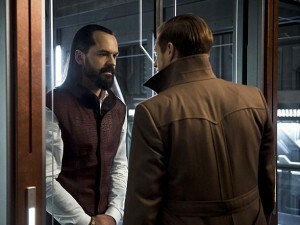 “Azrael.” Gordon and Bruce question Professor Strange about Project Chimera, which leads Strange to send the newly resurrected Galavan to confront Gordon. Meanwhile, Nygma investigates who Professor Strange is. “One Hundred Years.” Amid growing tensions, Cole and Cassie embark on their first time travel mission together, which brings them to New York at the height of World War II to track a dangerous, seductive member of the Twelve. 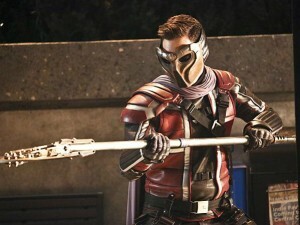 “Rupture.” Zoom arrives back on Earth-1 intent on taking over Central City. Barry and Wells come up with a plan to stop Zoom once and for all but it’s extremely dangerous. Unsure if he should take the risk, Barry reaches out to both fathers for advice. Meanwhile, Cisco is shocked when he vibes the Earth-2 villain Rupture, who comes to this Earth seeking justice for Reverb’s death. “Failed Experiments.” Coulson and his team race to combat Hive’s control over the Inhumans, as their enemy’s deadly plan for the human race is revealed. “Genesis.” As Oliver and Felicity look for a magical solution to defeat Darhk, a vengeance-driven Diggle gets a lead on Andy’s whereabouts and heads off to confront his brother. Meanwhile, Alex takes Thea on a vacation that quickly turns into a nightmare. 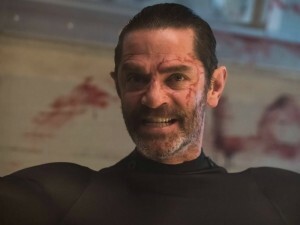 “River of Time.” After numerous attempts in many different time periods, the team has successfully captured Vandal Savage. However, Savage tells Kendra that he can reunite her with Carter so she struggles with whether she should kill him. Rip decides they will deliver Savage to the Time Masters which doesn’t sit well with Snart and Rory. The duo decides it may be time to jump ship and return to their old life. 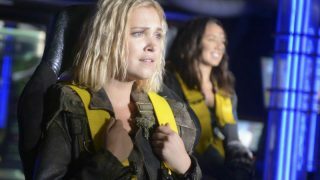 “Red Sky at Morning.” Clarke, Bellamy, Octavia and Jasper hit a tragic roadblock. Meanwhile, Raven and Monty make an important discovery. “From Instinct to Rational Control.” Sarah realizes her goals have aligned with her once enemy and forms a precarious alliance in hopes of getting to the head of Neolution. Meanwhile, on her end, Alison dispatches Felix and Donnie to infiltrate a Neolution fertility clinic that Beth investigated. Back at the lab, Cosima and Scott receive a revolting delivery from Alison. As Rachel grows closer to Charlotte, Susan Duncan leaves a devastating decision in her hands. 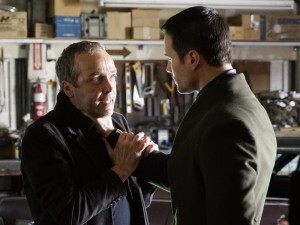 GRIMM returns with new episodes next week. 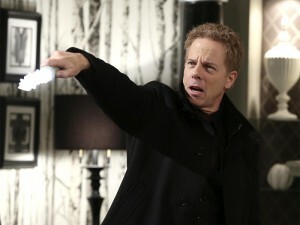 “Last Rites.” Emma, David, Regina, Robin and Henry are finally back home in Storybrooke and reunited with Snow, but, unfortunately, they still have to contend with Hades, who continues to deceive Zelena as he lays out his plan to use the all-powerful Olympian Crystal to take over the town. The heroes desperately search for a way to defeat Hades while Hook does the same in the Underworld, looking for those missing storybook pages. “Captive.” Alicia works to reunite with her family; and Travis meets a familiar face. Meanwhile, Madison and Nick lead a charge to save their family against all odds. “Oathbreaker.” Daenerys meets her future. Bran meets the past. 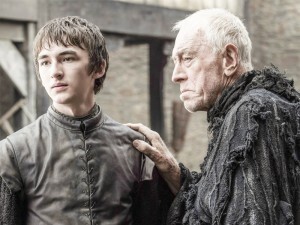 Tommen confronts the High Sparrow. Arya trains to be No One. Varys finds an answer. Ramsay gets a gift.